New Volcano National Park Lava Flow! Here is the latest on the Volcano National Park Lava flow. The past couple of weeks at Kilauea have been quite active. Two new lava flows have erupted since the end of May. Though active, the flows are not considered to be threatening to nearby communities. Kilauea is just one of five active volcanoes on the Island of Hawaii and first began erupting in 1983. Eruptions over the past three decades from Kilauea have caused concern and evacuations in the past. The current activity is from the same side of the volcano where a new vent in June of 2014 broke out. The vent threatened the village of Pahoa causing evacuations and destroying at least one home. According to the U.S. Geological Survey Hawaiian Volcano Observatory, lava flow from that breakout finally stopped in March of 2015 allowing residents to return to their homes and businesses. 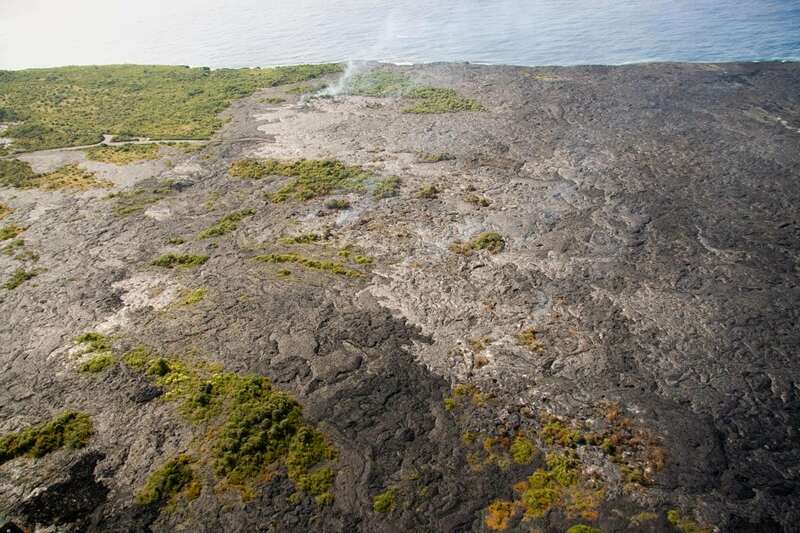 The current lava flows are in the East Rift Zone or Pahoa area of the volcano according to the USGS. “The current activity does not pose an immediate threat to nearby communities, however, a glow may be seen at night,” the USGS said. Kilauea is just one of the many marvels to see here on the Big Island.